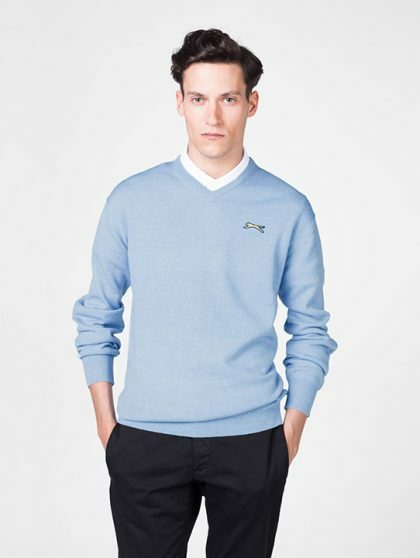 Our Golf Slazenher Heritage Sweaters are genuine products made from superfine two-fold (2/44) Merino wool yarn to create a unique knitted garment. 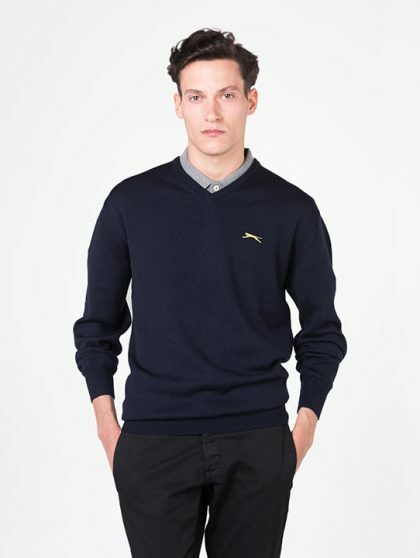 The clean construction of the sweaters provides a look of distinction and a quality akin to handcrafted tailoring. 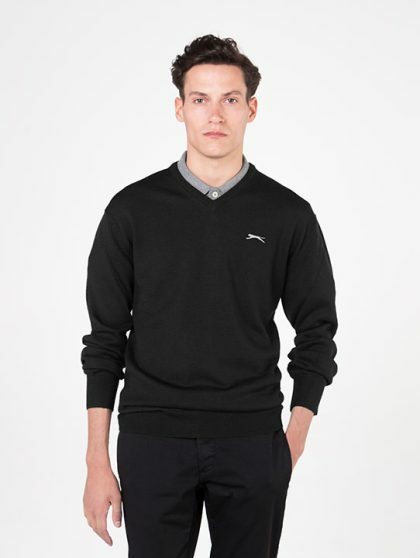 The soft, luxurious hand of the Slazenger Heritage sweaters is further enhanced by unparalleled characteristics of performance and practicality, having excellent resistance to pilling and abrasion, whilst being machine washable and total easy care (TEC) treated for tumble-drying. With peerless colour brightness and fastness, together with timeless styling, the finished product has a longevity that is second to none. The garments are sensuously comfortable against the skin and the fine fibre causes no irritation or prickle. 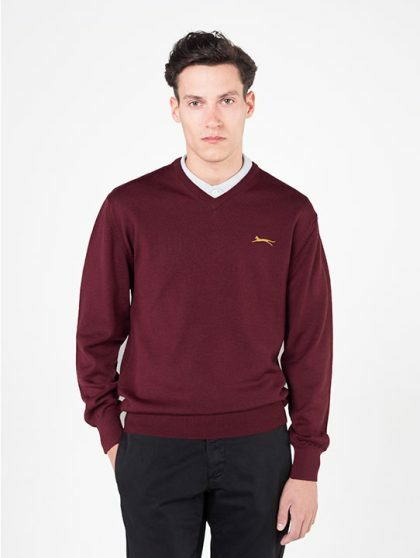 Our sweaters can absorb large quantities of moisture vapour and then move it away to evaporate into the air making it very breathable. 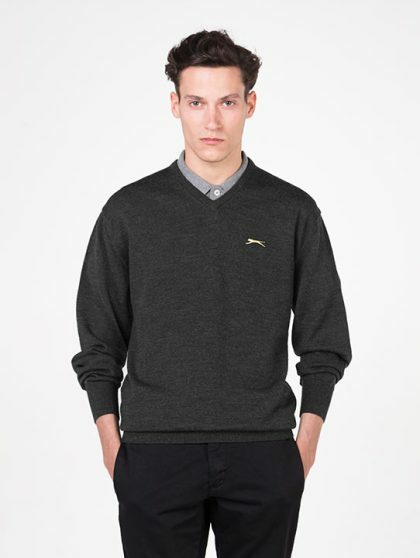 Our Golf Slazenher Heritage Sweaters are genuine products made from superfine two-fold (2/44) Merino wool yarn to create a unique knitted garment. 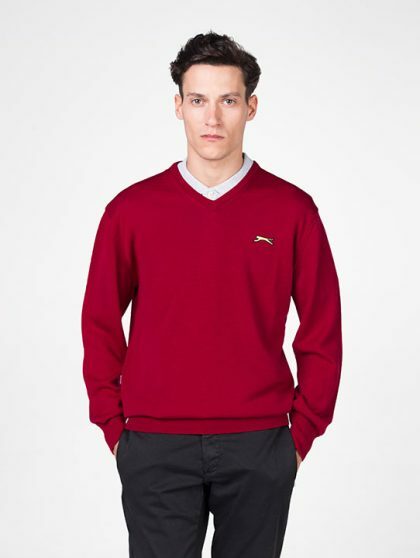 The clean construction of the sweaters provides a look of distinction and a quality akin to handcrafted tailoring. 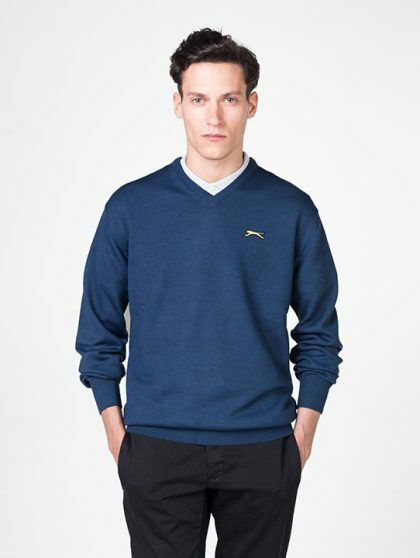 The soft, luxurious hand of the Slazenger Heritage sweaters is further enhanced by unparalleled characteristics of performance and practicality, having excellent resistance to pilling and abrasion, whilst being machine washable and total easy care (TEC) treated for tumble-drying. With peerless colour brightness and fastness, together with timeless styling, the finished product has a longevity that is second to none. The garments are sensuously comfortable against the skin and the fine fibre causes no irritation or prickle. 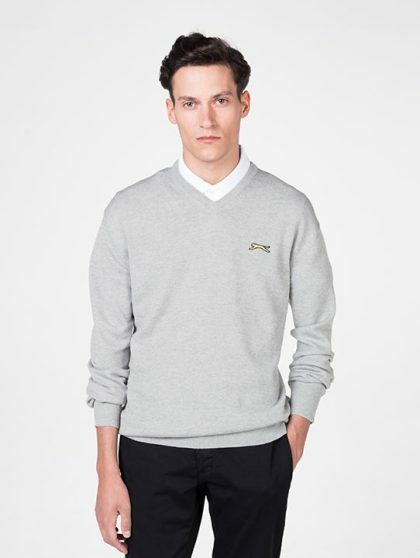 Our sweaters can absorb large quantities of moisture vapour and then move it away to evaporate into the air making it very breathable.